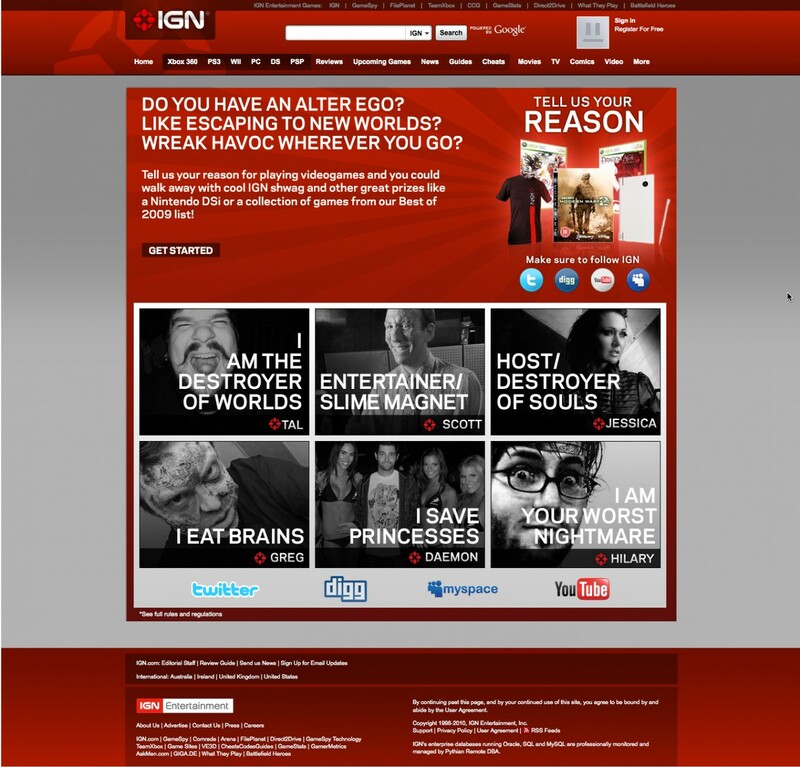 To promote the launch of their new website and brand identity, IGN wanted to get inside the heads of their fanatic gaming audience and find out what makes them tick. With an open invitation for gamers to share the reasons they play, the contest let users upload a photo and customize it with a quote on why they get their game on and share it with friends. 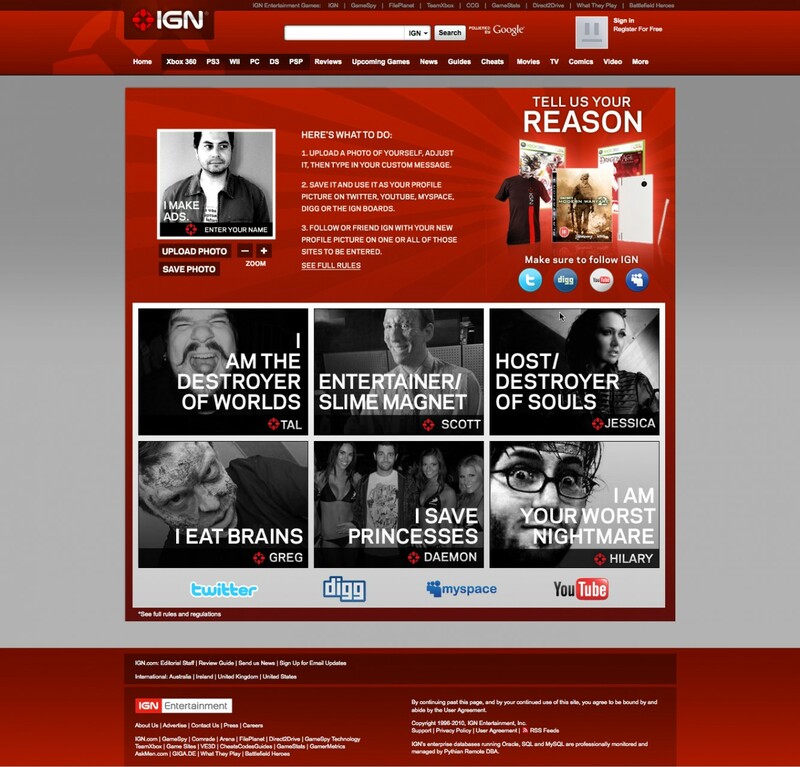 The entries were judged by the IGN editors with the winners taking home new games, IGN swag or a new Nintendo DSi.